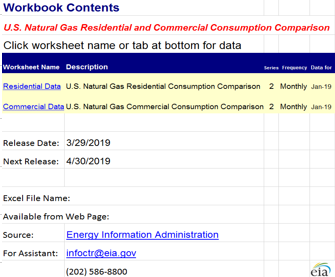 Beginning with data for August 2010, natural gas consumption for the residential and commercial sectors was derived from the total system sendout reported by local distribution companies on Form EIA-857, "Monthly Report of Natural Gas Purchases and Deliveries." The new methodology was designed to yield estimates that more closely reflect calendar month consumption patterns. Total system sendout is the sum of all volumes dispatched into the service territory during the report month, less any storage injections and deliveries to points outside the service territory. Previously, residential and commercial consumption estimates were based solely on reported sector deliveries; however, some residential and commercial volumes did not correspond closely with the calendar month due to the timing of customer billing cycles, which in turn contributed to the NGM balancing item (the difference between aggregate-level supply and disposition). In addition, in cases where sendout data fall outside expected bounds, those data are treated under the prior method where residential and commercial estimates are based on those reported sector deliveries and not adjusted by sendout. 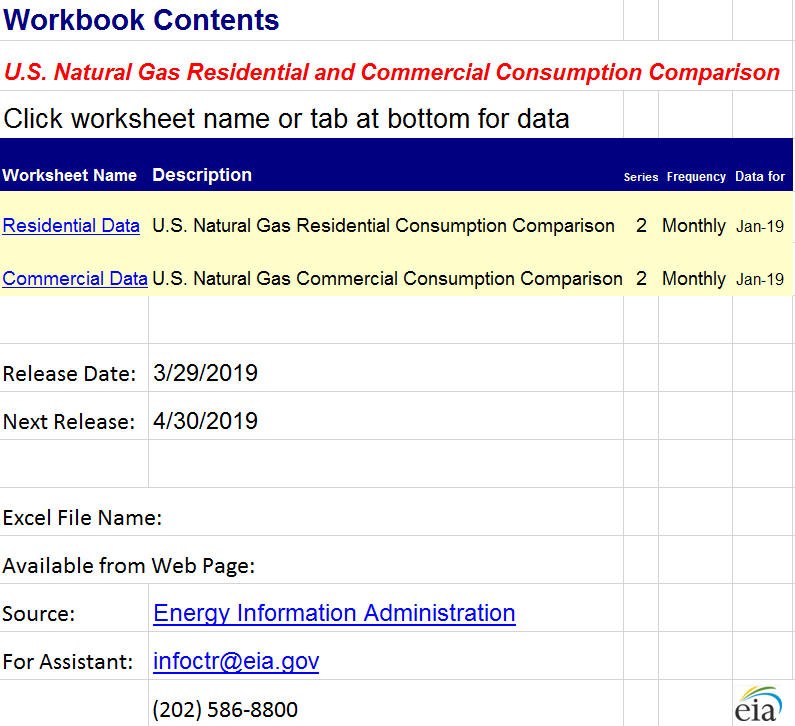 Reported consumption for the industrial and electric power sectors already closely aligns with the calendar month and was not adjusted using sendout. Please note that months prior to August 2010 will not be revised using the new methodology. See NGM Appendix C, Estimation Procedures, for more details.